Voted “App Store Best of 2015” by Apple! 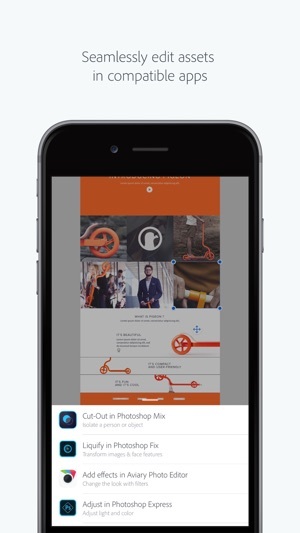 Lay out an idea with real assets like photos, text, shapes and fonts. 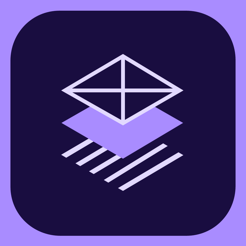 Send the wireframe to Photoshop, Illustrator, InDesign or Muse to refine and finish. 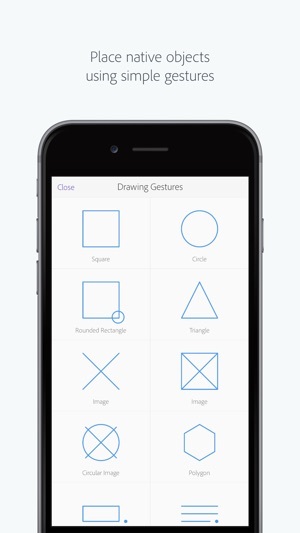 •	Gestures that drop in placeholder text, basic shapes and editable text boxes. 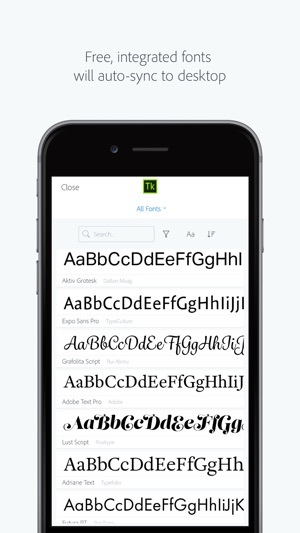 •	Free fonts and from Typekit or third-party fonts installed on their device. •	Edit or rewind and export the idea from any point in its timeline. •	Send the idea to the desktop where it will automatically open in InDesign, Illustrator, Photoshop or Muse. Get easy in-app access to your assets — including Adobe Stock images or vectors and color themes from Capture. Assets you pull into Comp from your Library will display as linked files in Illustrator and InDesign and as Smart Objects in Photoshop. Mastering some design software can take longer than creating the design itself, which is why Adobe Comp CC is such a breath of fresh air. Building layouts with intuitive touch gestures is an absolute snap, whether you’re working on an iOS app, a printed document, or a website. 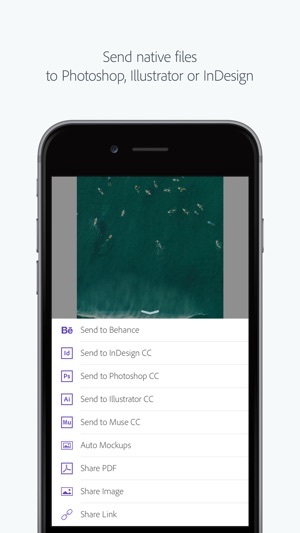 It’s a fluid, robust way to whip off quick designs on the go and share them with other Creative Cloud apps, including InDesign, Photoshop, and Illustrator. Before I begin, all of this is is new to me. I am learning as I go. I am a subscriber to LR CC, IOS. Main reason I subscribed is Adobe was the only reputable company that offered IOS Mobil apps other than Google Snapseed, which by the way is also an amazing app. More user friendly upfront than Adobe in my opinion. However, thats what lead to the title of this review. For those who feel Adobe lacks, or that it was not as good as before, well take a look in the mirror and ask yourself, what have you done to better yourself? Chances are, you have not taken the time to learn and understand all of the changes made or new features and benefits that come with the new version updates. I am new and quickly finding out there are a several apps that work with some and not others. 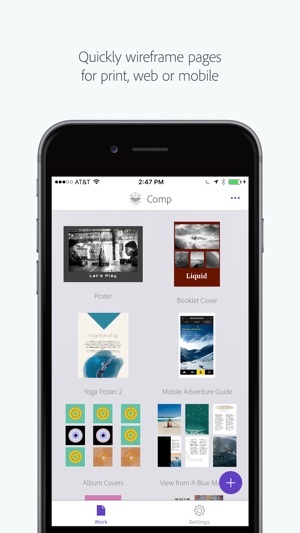 If you know what each app is intended to be used for, you will not be disappointed. Forcing the users to reach out for support definitely will increase efficiency and productivity by automatically weeding out users who are not willing to take the time and learn. With all the available learning resources and several different ways to contact them for support, its easy to find out which apps you need to use together in order to provide what you are looking for. Overall, I LOVE this app, but there are some serious issues I have with it. The major one is a known issue that they have yet to fix. I’m a paid subscriber, and yet it keeps telling me that as a free user I cannot export at higher than 72dpi. There are some minor work-arounds for that (for my smaller projects anyway), but when I work on a larger project that has been a major problem.